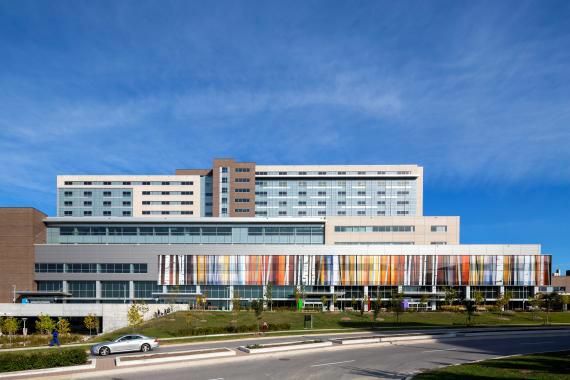 When leaders of Humber River Hospital set out to build a replacement hospital in Toronto, they didn’t just want to incorporate the latest technologies, such as a real-time location system (RTLS), integrated bedside terminals, or automated guided vehicles (AGVs), into the 1.8 million-square-foot facility. The pathway to success entailed assessing every system that was going to be implemented in the 656-bed hospital and developing compatible software to connect everything, including an “enterprise service bus,” which Jeter describes as a big channel conduit that allows information to flow to and from any location within the building. This means that when a provider sends a sample for testing, it’s processed in a fully automated lab and then the provider receives a message on a smart phone about the test and what’s been done.